The United States has a long history of doing business with Ecuador. Both the United States and Ecuador have a number of similar interests with regard to diminishing poverty levels and boosting the growth of Ecuador’s economy through trade. The commercial relationship between the United States and Ecuador is substantial with an approximate $13 billion in total trade recorded annually during the last couple of years. United States exports from Ecuador have included plastics, vehicles, machinery, electrical machinery, and mineral fuel. The United States – Ecuador Bilateral Investment Treaty (BIT) suggests guarantees for international dealings. The BIT also enables remittances without restriction, transfers, and effective compensation for expropriation. The BIT also assists in the resolution of any investment disputes through the use of international arbitration methods. To promote economic growth and effectively encourage investment in Ecuador’s economy, the government of the nation strongly encourages and embraces foreign investment throughout a number of sectors. Ecuador permits 100 percent foreign equity-ownership without demanding prior authorization. Ecuador does not place limits on royalties that can be paid in relation to franchise and license transactions. Since the year 2000, Ecuador implemented the use of the United States dollar as the nation’s official currency. Ecuador has had an investment guarantee agreement since the 1908’s, with the Overseas Private Investment Corporation. Ecuador participates in the Multilateral Investment Guarantee Agreement. Ecuador also has a very strong labor force, which makes the country extremely attractive as an investment opportunity. The nation’s minimum wage standards are determined by the Ministry of Labor and are based depending on individual jobs and the industry each job pertains to. Some of the business areas where government heads of Ecuador are looking to increase Foreign Direct Investment are agriculture, forestry, tourism, mining, fishing, aquaculture, and real estate. There are opportunities for small- to mid-sized United States exporters to deal with products in water resources equipment, plastics, machinery, equipment that is used for telecommunications, and auto parts. 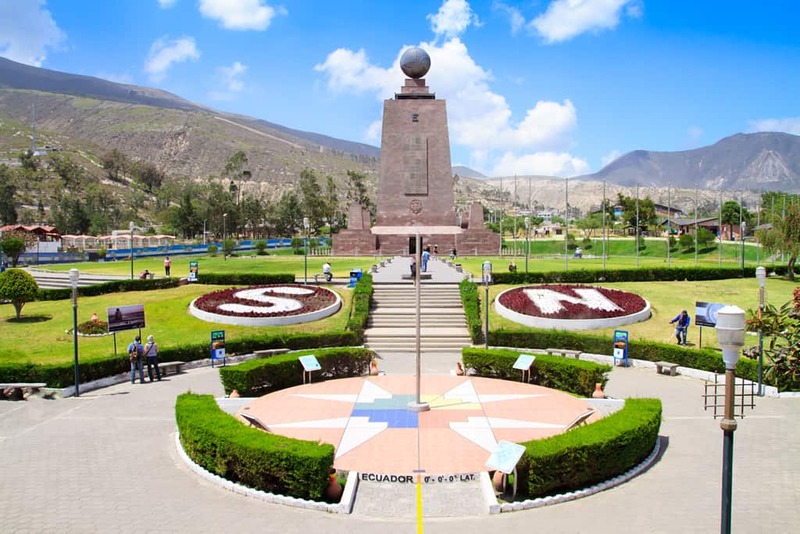 Free trade zones in Ecuador give importers the opportunity to bring in raw materials and various types of machinery duty-free and then turn around and export finished items without having to pay a tax on the items. For companies looking to expand to Ecuador, placing an announcement on the company website and offering Ecuador virtual numbers for those within the target nation to call the company is an invaluable step towards expansion. United World Telecom sets up Ecuador virtual numbers for all types of businesses, no matter the size or scope. In launching a new business or expanding an existing one in Ecuador and focusing on the growth of the business, a company must have a reliable mode of communication with their market. Offering telephone access with Ecuador virtual numbers is an efficient way to do this. Ecuador virtual numbers make it simple for a company planning or beginning to do business in Ecuador to place a phone number on their website and allow for those located in Ecuador to contact the business. Customers, manufacturers, or any other type of business contacts are able to place calls using one or more Ecuador virtual numbers set up by United World Telecom and calls are then automatically forwarded to any number the company chooses, anywhere in the world. The fact that calls made to Ecuador virtual numbers can be forwarded to a landline or a mobile device of the business owner’s choosing is extremely useful for a business owner who is looking to establish their business in Ecuador without physically being located in the country. United World Telecom has been specializing in international call forwarding through the use of Ecuador virtual numbers and other types of toll free numbers set up for communication between many countries worldwide. Clients who utilize United World Telecom can easily control and modify features online, which streamlines the process further. For business owners looking to enter the Ecuador market, Ecuador virtual numbers help to establish a strong professional presence, which is required for any business to truly achieve their desired level of success.